Sunnyvale, Calif. and RALEIGH, NC, April 24, 2007 – Vitria Technology, Inc., a leading provider of business process integration solutions, and Red Hat (NYSE: RHT), the world’s leading open source solutions provider, today announced a collaboration to accelerate service-oriented architecture (SOA) solutions to the marketplace. Vitria will offer Red Hat’s open source JBoss Enterprise Application Platform with Business Accelerator™, its newly launched open SOA integration suite. Both companies will provide service and support. Business Accelerator aligns today’s business need for speed with IT’s need to implement the “right” technology. 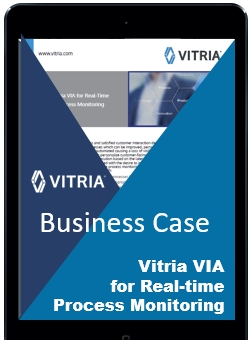 It offers freedom of choice and flexibility to build a best-of-breed solution by leveraging Vitria’s proven expertise in business process integration software, technology capabilities provided by industry-leading partners, as well as the customer’s existing infrastructure. JBoss Enterprise Application Platform, launched today by Red Hat, is an integrated, tested, and certified offering combining JBoss Application Server, Hibernate, and JBoss Seam into a single distribution for deploying and hosting applications and web services. Vitria Technology, Inc. (www.vitria.com)is the industry’s leading privately-held business process integration company. Known for its innovation, the company offers Business Accelerator, the most flexible SOA integration suite on the market, plus the award-winning BusinessWare® B2B integration platform – delivering both state-of-the-art legacy, and SOA-based process integration solutions for the enterprise. To maximize customer productivity, the company offers high-value “productized” applications and frameworks that automate and simplify complex processes, including Resolution Accelerator™, the leading solution for resolving business process exceptions. Vitria’s customer base includes global 2000 organizations such as AT&T, Bell Canada, BellSouth, Blue Cross Blue Shield Association, BP, BT, DaimlerChrysler Leasing, Generali, Nissan, Reynolds & Reynolds, RBC Financial Group, Sprint, U.S. Department of Defence and Veterans Health Administration. For more information call +1-408-212-2700, email info@vitria.com or visit www.vitria.com. © 2007 Vitria Technology, Inc. All rights reserved. Vitria and BusinessWare are registered trademarks of Vitria Technology, Inc. All other names may be trademarks of the companies with which they are associated. LINUX is a trademark of Linus Torvalds. RED HAT and JBOSS are registered trademarks of Red Hat, Inc. and its subsidiaries in the US and other countries.